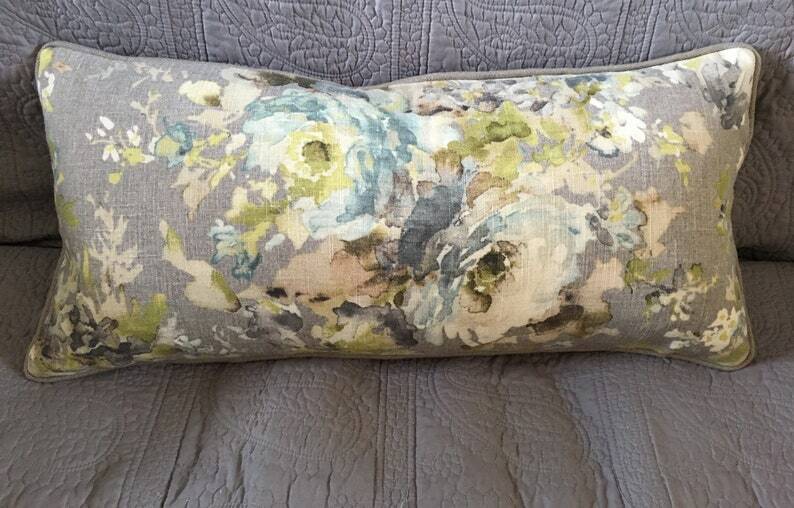 12x24 inches lumbar decorator throw pillow cover. Watercolor floral grey and green front. Grey khaki solid linen back and corded edge with invisible zipper closure, handmade in my workroom. Insert can be purchased in separate listing. 2 of these covers available.